In order to avert an IT disaster, you need a simple, effective, virtual-ready BC/DR solution in your enterprise. A solution that is easy to deploy, simple to manage, and is both scalable and cost-effective would be ideal, if such a solution existed. It does exist. 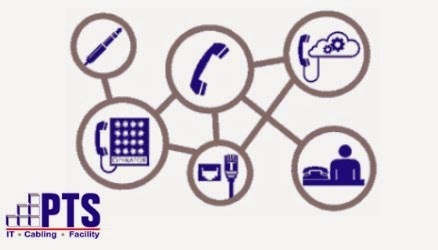 Contact PTS about disaster recovery solutions, or view this disaster recovery webinar. Like many other market sectors, the data center space has its ebbs and flows. 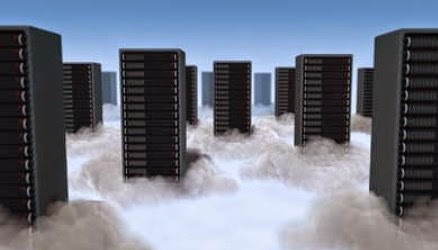 The latest trend and forecast is that cloud computing and colocation are continuing to grow in popularity and one day, due to cloud's promise of ubiquitous computer platforms, could nullify the need for company-premise-built data centers or computer rooms. That said, this promise has lingered for some time now without being realized. 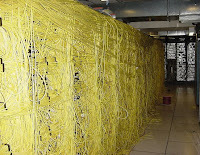 In fact, at PTS Data Center Solutions we see a different, more recent trend. For example, in the last several years, the northeastern U.S. has experienced substantial utility outages due to inclement weather (Hurricanes Irene in 2011 and Sandy in 2012). Given these extended outages, for over a year now, PTS has been called upon to engineer and install more whole-facility backup power generation systems than ever before. Further, and in keeping with Levitt and Dubner's position in their book Freakonomics, that there is a hidden side to everything - so it seems to be the case with this whole-building generator boom. For small- and mid-size companies, installing a generator is the single highest CAPEX obstacle to realizing a corporate computer room (what PTS refers to as a "Tenant-Space Computer Room"). However, it's those very companies that have realized their operations (much less their computer rooms) cannot go without power for an extended period of time and as a result are installing whole-facility backup power systems. What was once the largest financial impediment to computer room ownership is now gone. Along with this is the promise of eliminating the ever increasing OPEX of an outsourced IT model. At the same time, given IT's ability to deliver operational resiliency, CIOs and CFOs alike are realizing not every data center facility needs to operate as a Tier IV bunker. It's even more premature to state that cloud computing is taking over. PTS is actually experiencing a resurgence in company built and operated data centers and computer rooms. As such, you can almost hear Yogi Berra's immortal words, "it ain't over 'til it's over". It is likely the industry will hit a stasis point between in-sourced and out-sourced data center facility and IT operations. Many enterprises already have (or will have) a hybrid model whereby some applications are cloud based (i.e. Salesforce.com), while others are housed in company owned and operated data centers. PTS, too, is currently undergoing a transformation by including our own cloud data center site and services offering as part of our new HQ facility build. This offering will complement our client premise-based IT and facility solutions. This way, PTS will be prepared for whichever way the wind blows (pun intended). If you are considering expanding your data center or adding a generator to improve expected uptime, it may be prudent to reach out to a professional data center design & engineering team to discuss your requirements, options, and costs. Also, there are a variety of issues that should be discussed prior to considering a generator deployment for any enterprise. Contact us to speak with a data center design professional. PTS Data Center Solutions, in conjunction with Quorum, hosted a particularly relevant event on December 4th. With over 20 industry executives and Backup & Disaster Recovery experts meeting at the Chart House in Weehawken, NJ, PTS and Quorum discussed the need for improved backup and disaster recovery solutions aimed at the Small- to Mid-size business sector. "The event was originally scheduled for November 7th but we all know what had just taken place the week before - Hurricane Sandy", said Larry Davis, VP, IT Solutions Group for PTS. "If we could have only spread the word earlier and gotten the Quorum solution out to clients without a clear Disaster Recovery plan, the solution really works for a reasonable price." With premises-based appliances, cloud solutions available for offsite recovery, and archive systems for long term storage requirements, the Quorum onQ solution can be deployed rapidly without any other hardware or software needed. Current Forever: Each ultra-efficient update is merged into the onQ device which houses virtual machine recovery nodes, full current images of client servers and virtual servers. Ready-to-Run: The approach doesn't wait until you need to recover to build your virtual recovery nodes, allowing one-click recovery at any time. Point-in-Time Recovery: Even though changes are merged into the ready-to-run recovery node, you can restore files or an entire system to a prior state. This is a perfect fit for business and organizations needing the ability to store and recover 7 years of data for regulatory purposes. Are You Optimizing Your Data Backup Along with Your Disaster Recovery? Are You Wondering if there is a Better Approach To Business Continuity? Are You Looking for a Low-cost Alternative to Traditional Backup & Disaster Recovery Approaches? PTS Data Center Solutions will be hosting a Lunch & Learn at the Chart House Restaurant in Weehawken, NJ. 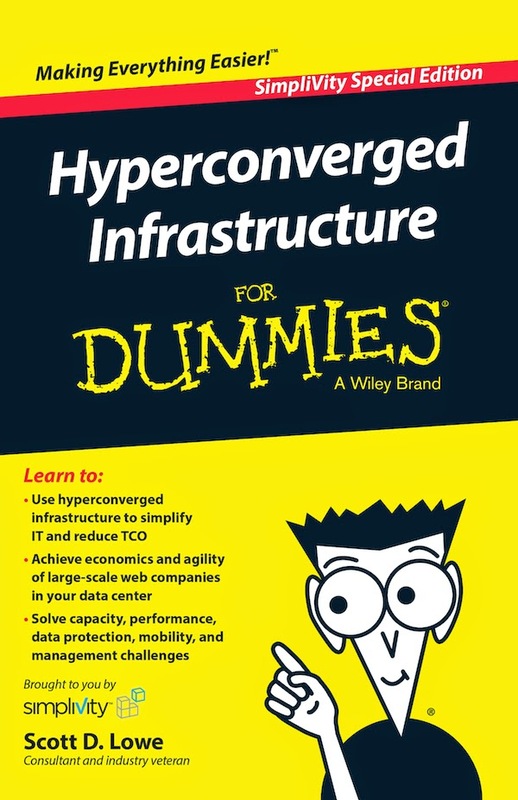 Please be our guest to learn about the better path to backup, recovery, and continuity. Your IT team shouldn't have to worry about data disruption which leads to business interruption. 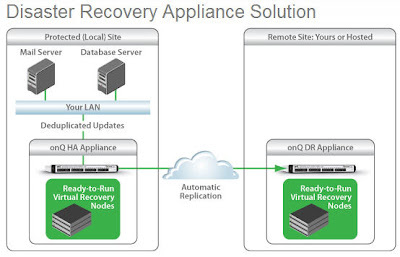 Quorum solutions can solve your backup AND recovery pain and, more importantly, business continues as usual. 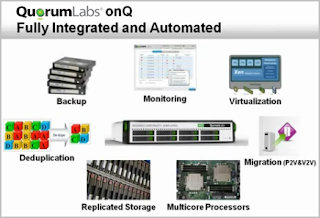 Quorum offers a One-Click Backup, Recovery, & Continuity Appliance. These affordable plug and play appliances can keep virtual copies of your critical servers (physical or virtual) ready-to-run for instant recovery on and off-site. Deploy in 1 hour, test every 15 minutes, and recover with a click of a button. Hear about Quorum's hybrid cloud solution for backup and instant recovery of your servers from your very own private cloud. Ideal for clients with 3-100 physical or virtual servers, this is one Lunch & Learn you will be glad you attended!. Additionally, we will be raffling off a $100 Gift Card to those in attendance. You are welcome to invite additional colleagues in technology with job responsibilities relevant to this topic. You can find additional information about Quorum and its solutions (datasheets, videos, case studies) by clicking here. A Lunch & Learn seminar you must attend this year. You'll gain a clear understanding of today's next generation approach to Backup & Disaster Recovery. Like your home, data centers hit a point of no return --- when slapping some paint on the walls (or adding additional rack UPS or portable cooling systems (e.g. standing floor fans (you know who you are!)) just isn't enough to mask inherent issues. to renovate your data center? I'm having hot flashes as I traverse the data center. The goal of data center cooling solutions is to drive average cold aisle and hot aisle temperatures. When these temperatures fluctuate too greatly, it may be time to look at Computational Fluid Dynamics (CFD) analysis to gauge how best to arrange cooling systems and, where necessary, isolate hot and cold aisle containment. We've fallen behind on the latest technology. Advances in blade servers, storage and networking combine to catapult performance ahead of business needs. Blade servers, for example, have introduced the concept of high-density data centers that pack previously unheard-of performance in a single rack. New rack design and cooling technology provide a new level of control and savings in both cost and energy consumption. We're afraid to go on vacation. This means your IT staff is spending countless hours on mundane tasks just to keep your computing infrastructure up and running rather than focusing on the ways in which IT can help advance the goals of the business. Consider outsourcing some of those functions to a managed services provider; remote monitoring and management are becoming accepted practices in most IT departments today. My cable plant looks like this. When troubleshooting cabling issues is beyond your means, or there just isn't adequate cable management, it's time to consider new approaches to improving cabling. This will save time and money and improve overall reliability of the data center. Sorry, but no room at the inn. When you can't squeeze a single additional piece of gear or another watt of power into your data center, it's time to consider a renovation. Like cleaning your basement or attic at home, a renovation will free up rack u-space. Under-utilized or obsolete equipment can be identified and discarded. And, renovation can be used to increase power capacity for those high draw blade servers. You worry more about disaster recovery than your peers. Hope is not a strategy. If you're not really sure how well your disaster recovery plan will protect your data in the event of a flooded data center, an earthquake or any other emergency scenario, then your plan is outdated. The process of a formal data center renovation will address redundancy in power and cooling and begin the process of designing to overcome a disaster. Portable fans are in vogue. Fans beget fans. A fan cools a hot rack by re-directing cool air intended for another rack. Now an additional fan is needed to fill the cool air gap. As additional servers are deployed, the cooling needs change. Performing a CFD audit can re-balance your data center hot-aisle / cold aisle air-flow system design for today’s needs and allow you to maintain optimal temperatures in the data center while conserving energy and its associated costs. Centralized control can only happen in a large enterprise.Take a serious look at virtualization and Data Center Infrastructure Management (DCIM) tools. These approaches may require renovation to certain aspects of an older data center but can be worth it if you can gain visibility and centralized control within the environment. DCIM tools come in many flavors and feature sets which are scalable for the smaller data center. A Green data center design is only a pipe dream.Visions of Power Usage Efficiency (PUE) under 2.0 need not be impossible. 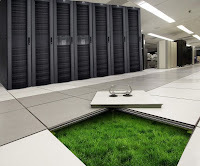 Considering green data center design techniques and improved performance of facility supporting infrastructure can remove inefficiencies in how much power goes to IT equipment versus non-IT equipment. The result can be reduced operating expenses direct to the bottom line. When designing your original data center requirements your crystal ball was only good for 5-7 years. Data center designs hinge upon key design criteria to support today's IT load. 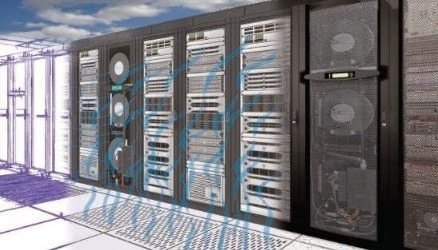 Well planned data center designs also consider future IT requirements, organizational growth, applications growth, etc. However, with significant IT design and innovation, it's extremely difficult to plan for IT requirements 5 or more years in advance. In the end, renovating a data center is far more complex than renovating a home. Smart home owners, when asked about a major renovation such as a kitchen upgrade, talk of making excellent choices such as checking into a hotel when the kitchen was lost. In a data center renovation, operations must continue on, many times with little to no acceptable downtime during critical renovation phases. Exceptional planning, significant prior experience, and a well conceived and vetted Data Center Renovation process are critical to reduce risk of downtime during a renovation project. With so much riding on day-to-day data center performance as well as the long-term effectiveness of the facility, the stakes are high when planning and implementing any changes. 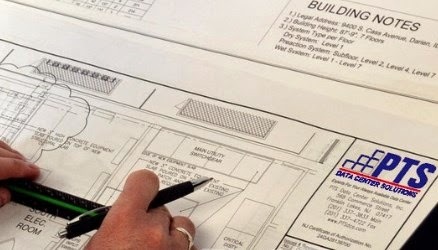 Consider seeking out a professional data center design & build firm.